The Hornbeam Bakers Collective is having its first non-baking workshop ‘How to build a cob oven’ with Simon Blackwell. 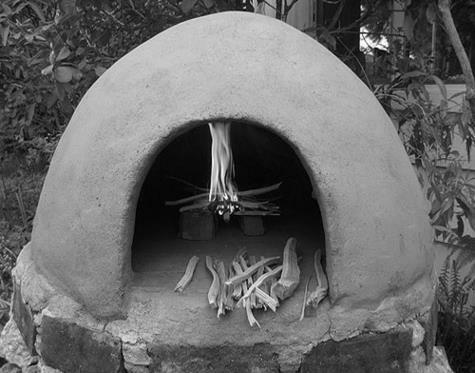 A cob oven is a simple, hand-made, wood-fired oven that can be made by anyone. Join us and learn how to build your own outdoor oven using “cob” a natural building material made by mixing clay, straw, water and subsoil with your feet. In this workshop we will go through practical steps involved in building an outdoor oven. By the end of the course you will have the skills and confidence to go away and build your own! Simon is passionate about traditional cob ovens and their potential for encouraging community involvement. He builds cob ovens, benches, hot tubs and sweat lodges, and holds workshops and courses in cob oven building and baking and pizza making. Since appearing on “The Great British Bake Off” Simon has been combining his love of baking with his passion for sustainable building, in particular by teaching people how to build their own Cob ovens. Don’t miss this community fun, chance to get messy and muddy and learn ancient building skills. 11am – 5pm £25 ONLY! Limited places so book fast!